It’s sad that we rarely realize how amazing our teeth are. Over the course of a lifetime, teeth break and crush food into tiny pieces, and they do this up to millions of times. If teeth were a grinding machine, with the wear and tear they experience daily, they would break down after a few years of use. However, nature is a true engineer and has fit all of us with a robust set of choppers. Now all that’s left on our part is to take good care of them so that they serve us long and well. Unfortunately, many Australians skip on their dental check ups due to costs or out of irrational mistrust in dentists. That’s very ironic, because there are many capable and affordable dentists Melbourne Cbd, Sydney and Brisbane as leading health centres host. But wherever it is you might live, regularly visiting a dentist and maintaining good oral habits has many huge benefits. Diet is one factor that can affect the look of your teeth. Artificially coloured food can release chemicals that dye your teeth as well. And let’s not forget the worst enemies of your smile – tobacco, coffee, and sugared foods. If you have a problem curbing your cigarette addiction or simply have a sweet tooth, polishing and whitening your teeth can help them get back their beautiful white glow. But most importantly, polishing gets rid of plague which if left untreated can cause bacteria build up and tooth decay. It’s a misconception that bad breath is caused by the food we eat. Actually, 85% of people with persistent bad breath are diagnosed with halitosis, a dental condition where bacteria start to reproduce abnormally in the mouth and release chemicals that cause bad smell. When this happens, a regular mouthwash can do nothing to keep your breath fresh, and you might become stuck with it for the rest of your life. But daily flossing, regular check ups and through dental cleaning of plague are the best way to maintain the bacteria’s balance in the mouth and prevent bad breath. 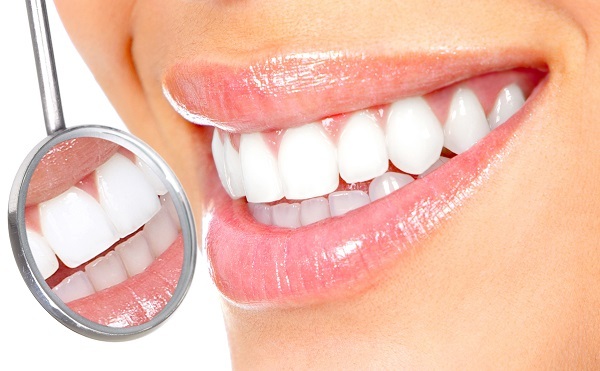 Gum disease is the leading cause of tooth loss. It’s an infection that targets the gum tissues and bones important for keeping your teeth in place. Genetic factors and bad oral hygiene put you at risk for developing gum disease. But daily flossing, brushing twice a day, and most importantly, regular dental check ups and cleaning can prevent gum disease and thus allow you to keep your teeth even in ripe old age. And retaining your natural teeth means better chewing and ultimately improved health. According to studies, there’s a person dying from oral cancer every hour. At a recent seminar of dentists Melbourne Cbd had, it was pointed out that the rate of oral cancer in Australia has been drastically increased. This is partly due to the bad lifestyle habits people have. However, there are also some genetic factors which can lead to its development, meaning no one is 100% safe. But when you do your regular dental cleaning, the dentist is simultaneously screening you for early signs of oral cancer, which can be effectively cured if diagnosed on time.